Creeper onesie with embroidery across the front. 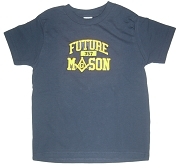 Infant sizes available. High quality white creeper with green, red, yellow, and royal letters.